Doors and windows don’t just provide protection to your Ohio home; they affect its overall appearance too. When utilized the right way, they can greatly improve your home’s curb appeal. In this post, your trusted window installation expert, Renewal by Andersen® of Cincinnati discusses ways you can make your home more appealing with windows and doors. Give both your interior and exterior an upgrade by expanding your entry door with narrow glass panels on each side. You can choose different artistic or colored glasses or simply add glass to your entry door. This will allow more light into your entryway. We do not offer entry door products at this point. But we do carry patio door products! Patio doors are a great addition as they create a seamless transition between the indoor and outdoor areas. Choose from sliding patio doors and French hinged doors to complement your space. Upgrade the look of your living room and make it more energy-efficient by combining different kinds of windows. You can opt for larger bay or casement windows to make your space appear bigger and brighter. 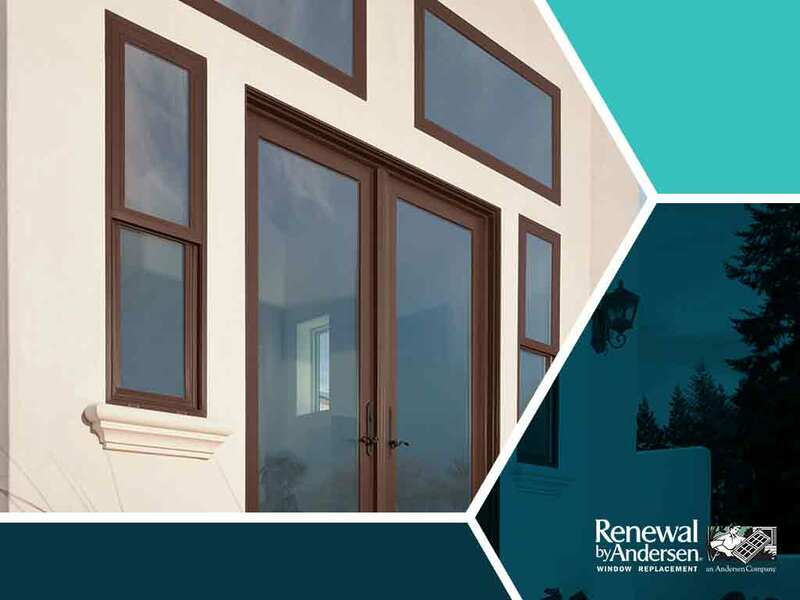 Casement windows from Renewal by Andersen of Cincinnati feature long-lasting Fibrex® frames, High-Performance™ Low E4® insulating glass and low-profile window screens. They also come in a wide range of colors and finishes to complement your home’s design. You can keep your bathroom private and well lit by choosing textured glass or film coatings. Hallway doors can often make a room darker, so replacing them with glass paneled doors can greatly improve a room’s lighting. The basement is one of the most underutilized areas in the home. It can be transformed into a spare bedroom, entertainment room, and even a workout station. Make your basement brighter by installing large windows. Improve your home’s value with high-quality doors and windows from Renewal by Andersen of Cincinnati. We are your leading provider of casement and double hung windows. Call us at (513) 283-8981 or complete our online form for a free in-home consultation. We serve clients in Cincinnati and Chester, OH.